List of the best Gaming, LCD, IPS monitors with spec on the top brands. Computer Monitors are always a tough category to know which ones are the best monitors out there. When a person is browsing through monitors its so hard to tell what the differences truly are. Here at Best Monitors Review you can compare the top computer monitors to find which one is perfect for you. When it comes to picking out a monitor, the price and size of it are by far important aspects to look into. Those are however not the only specification you should be looking at. Some other things to pay attention to are the response times, contrast ratios, screen resolution and what the interface has. I am a heavy Gamer so low response time on monitors is a must have stat for me. The importance of each specification can differ depending on what you utilize your computer for. People who mostly work with graphics and design will buy different computers then Gamer, or even people buying one for their work. Below is a list of the Best Computer Monitors and important specifications to allow you to narrow down what monitor you want. If you are uncertain on any of the specifications that are listed then Definitions will provide more information on what each of these are. In the world of monitors there are a few types of panels that dominate the market, these 4 types are IPS, TN, PLS, VA.
IPS panels use technology called In-Plane Switching. It was created to be an improvement from TN Panels. These monitors have superior viewing angles. This means if you move around while staring at the screen, there is no shift in color. IPS used to have poor contrast, but lately have been matching other panels on color accuracy. The main area they tend to fall short on is Response times. Though in this area they have closed the gap. These panels almost always have LED Back-lights which make it efficient with energy. The last point is that they tend cost more. TN panels use technology called Twisted Nemantic. They are known for two things, a lower response time (2ms) and lower cost. Just like with the IPS, TN panels almost always have LED back-light which make them efficient with energy. The main drawbacks are the viewing angles tend to have color shifts. Different types of TN products can very largely on quality. Also, TN panels do not show all 24 bit colors since they only have 18 bits in total/ This means they have to mix colors to shade any of the other bits. VA panels are a combination of IPS and TN panels. The first thing about these panels is that they tend to have good viewing angles. They are also known for their contrast ratio being the best so you can tell the differences between more colors than the other types. Va panels do not usually have LED back-light. They also have slower response times. The last bit is that the costs are higher for these than TN panels, but just around the lower end of most IPS monitors. PLS are new panels developed by Samsung in 2012. They have wide viewing angles like IPS, typically higher brightness than the other panels and a low power consumption. 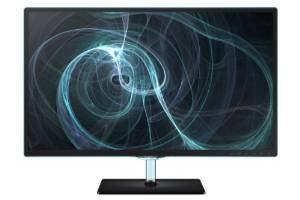 They are a newer technology so it is more of a hit or miss on finding great monitors, along with the monitors usually being on the higher end price of all the panels. IPS usually take the cake when it comes to quality of the screen, especially when it comes to someone who is a graphics designer. TN panels usually win out on budgets and gamers who are looking for that extra response time, the slower the response time the more ghosting on the screen. Va panels are preferred in fields where contrast is a major factor. The BenQ monitor was made specifically for gaming, and because of the their drive and focus on making it a top notch monitor, I consider it the Best Gaming Monitor currently out there. The first feature to point out when trying to explain how high end this brand is, would be the response time. 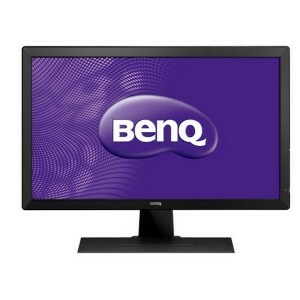 The BenQ has a 1 MS response time, one of the lowest response times you will find from any monitor in the marketplace. This means when you are playing any of high intensity and high quality games, you should not be able to see any lag coming from the screen not being able to process all of the effects quickly enough. Dell has always been a strong and reliable company when it comes to all the computer parts they produce, and their computer monitors are no different. The response time is a little below average at 8 milliseconds, but makes up for it by the dynamic variability of the stand. The monitor is able to pivot, tilt, swivel and adjust height depending on where it needs to be situated on the desk. It is also made for multiple environments, even being waterproof if the monitor will be outside for events you may need to bring it to. 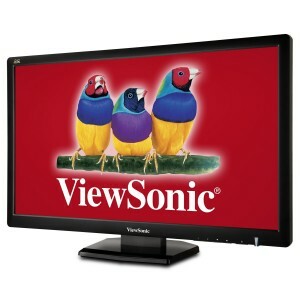 This monitor is equipped with a LED LCD Panel that has premium built in speakers. With the 1080p HD resolution and speakers attached to the monitor, this is the only piece of equipment you need with your desktop to watch all your favorite movies in high quality. It is even attached with an hdmi connector so you can plug in any other devices you have to stream it across to the monitor to watch all your favorite videos.